Arriving for a meeting of euro zone finance ministers, the hawkish Slovak representative went so far as to warn that Italy under its new eurosceptic, anti-austerity coalition risks casting itself adrift from the common currency in a manner that would do severe damage across the bloc. “I sincerely hope that the new Italian government won’t ignore rules and take euro zone hostage for the sake of pre-election promises,” Peter Kazimir tweeted. Economists echoed these concerns by openly evoking the possibility of an Italian default if pledges of high spending were carried out by the forthcoming coalition government of the anti-establishment 5-Star and the far-right League. “If Italy were to follow through on its new plans for spending, the expected reaction among bond-buyers would make it very difficult for Italy to finance its already significant amount of public debt,” the Brussels-based think-tank Bruegel said in a note sent on Thursday. 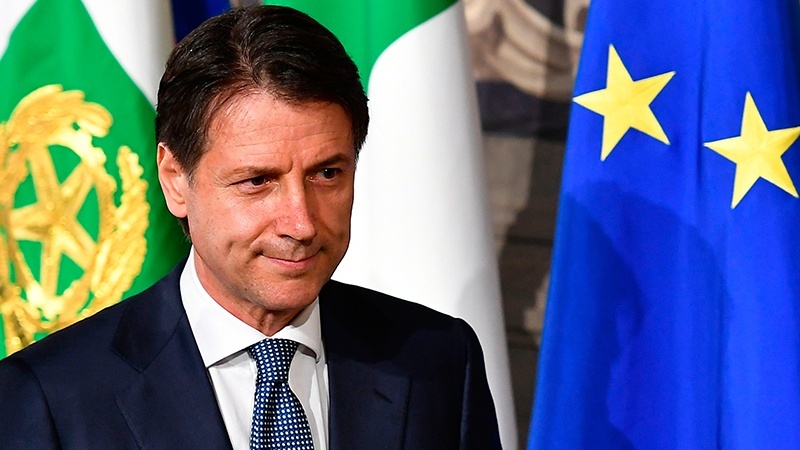 While EU partners are waiting to see exactly what policies a new government under the political unknown Prime Minister-designate Giuseppe Conte will pursue, many see private investors as the first reality test for the ruling coalition. A policy of increased spending in explicit breach of EU fiscal rules “would likely be met by aggressive Italy underperformance versus other markets”, investment bank J.P. Morgan said in a note for investors. Borrowing costs for Italy have already spiked in past weeks as the government coalition moved closer to taking shape. The European Commission also has tools to pressure member states not to let government deficits and public debts rise above set levels but senior officials acknowledge that these have often not been applied strictly – notably to France – and that they may not be strong enough to deter a new Italian government. Uneasy at the prospect of a stand-off with a government in Rome that knows that the whole euro area would suffer from a rerun of the Greek crisis on a grander scale, many of those attending tried to strike a conciliatory tone. EU Economics Commissioner Pierre Moscovici and the German and French finance ministers welcomed comments by Conte that they interpreted as signalling a willingness to remain engaged with Rome’s European Union partners.